You can’t trust an alien. Penny is having the worst year. First the pretty lizard aliens show up and start murdering people. Then the “good aliens” arrive and claim they’ll defend Earth and save humanity… for a price. She knows a protection racket when she sees one. And the price? Married to an alien? No thank you. Kol has one mission: destroy the Suhlik. He’s not interested in this new planet, Earth, or the strange soft-skinned inhabitants. On a scouting mission, he catches the luscious scent of his mate and must find her in the rubble of a ruined city and bring her to the safe zone. When Kol is wounded protecting Penny, she just can’t leave him to freeze to death in a blizzard. Besides, no one is asking her to marry him, just keep him from becoming a popsicle. She doesn’t trust him and all this nonsense about being his mate could be hyperthermia talking. 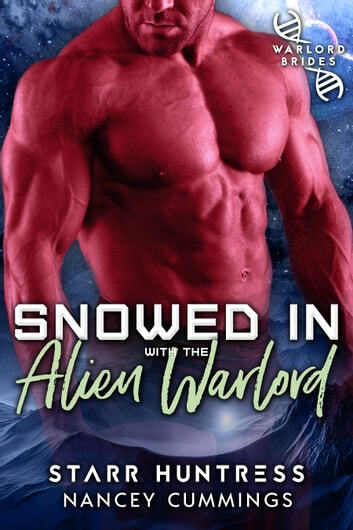 The more time she spends with the brawny alien warrior, the more she can’t deny the heat between them. Once she is safe in his powerful embrace, being married to an alien is looking better by the minute. The Warlord Bride Index is a series of standalone stories in the Warlord Brides universe. Standalone, HEA, lots of heat, no cheating and no cliffhanger. What a great story to add to the Warlord Brides series. I loved how Penny and Kol interacted and talked to each other. I just loved Penny's character, a little snarky but not rude at all. Plus loved that a human girl saved the big red alien. I read it in one sitting as it was a quick but enjoyable read. Just fun to read. Had a few funny scenes too which is always a plus. Well construcred story. Only down side is the many word mistake and misprinting as if nobody proof read the book before printing. Aliens needing women is a consistent theme in the paranormal. This story had realism as it alow ed the characters to actually develop.